I was away the past weekend on an island trip. I popped by Perhentian Island which is off the east coast of Malaysia. It is a nice small and relatively virgin island. The beaches were clean with fine sand, waters so clear you could see the bottom ans most importantly – there were quite a few snorkeling spots around the island! The corals and fishes were the colors of the rainbow. Ahh~ How I wish I was there again. Anyways, I obviously had to do my nails before I headed off to the island. 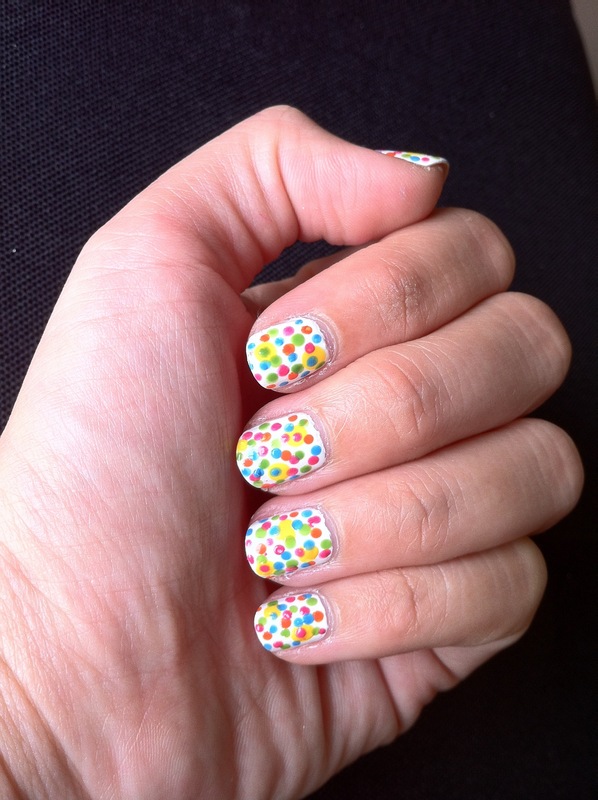 I was torn between a few designs but eventually settled on a fuss free polka dot design. Here it is with the sun and sea behind it! I used OPI No Room For the Blues for the darker blue and Baviphat #23 for the baby blue. 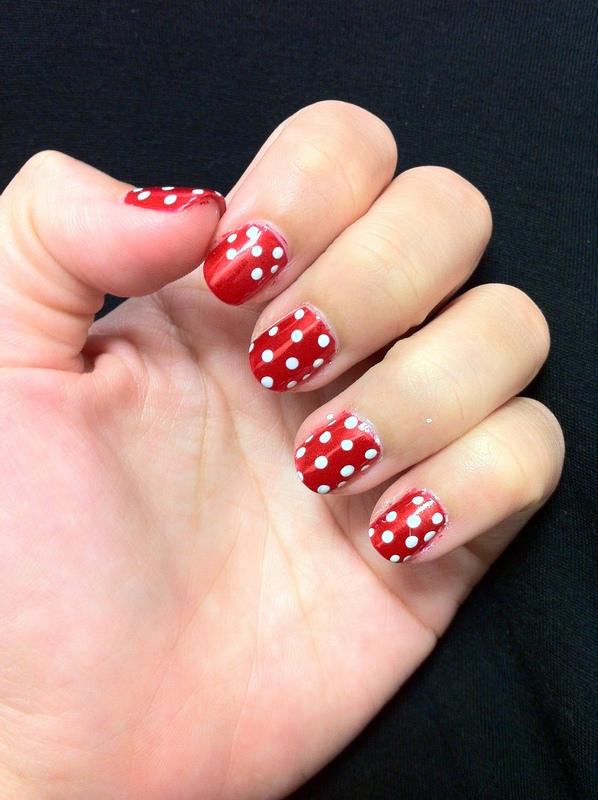 When I was painting my nails, I totally forgot to get my dotting tools out so I grabbed the nearest pencil I had and started to my dotticure. *MacGyver moment* So, to those who do not have a dotting tool, don’t fret. Just grab a pen or pencil and work your magic! A photo of the beach where I stayed on before I leave. I just had to bring out the gold shimmer in the copper/bronze polish from my last post. And the best way I could think of was to dot it with some gold polish. 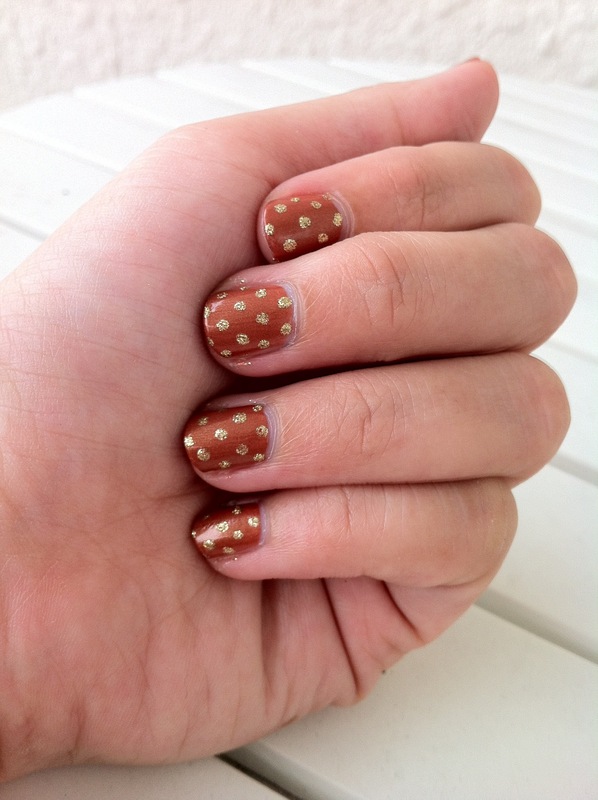 While I was dotting on the gold dots I was thinking – to rose, or not to rose! And voila! 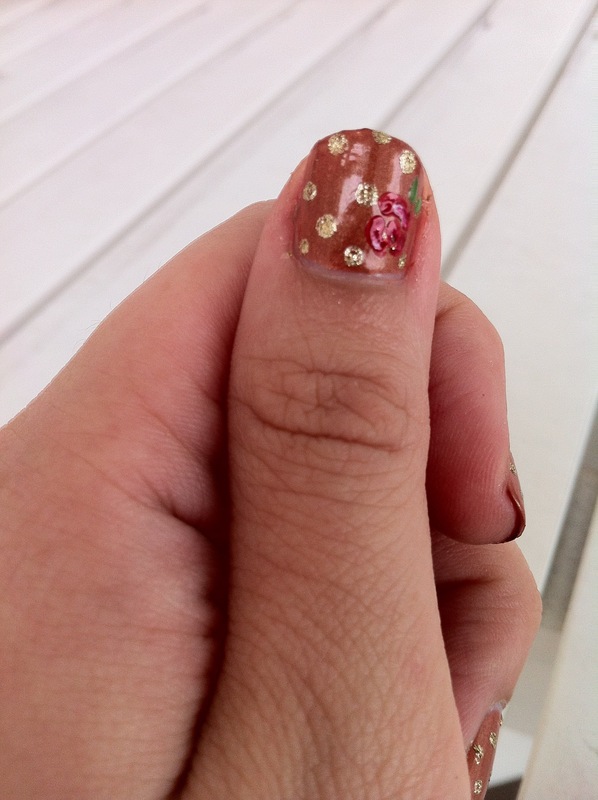 A rose on my thumb as an accent nail! My rose doesn’t look perfect but I love it so! I couldn’t stop staring at it while I had this mani on. 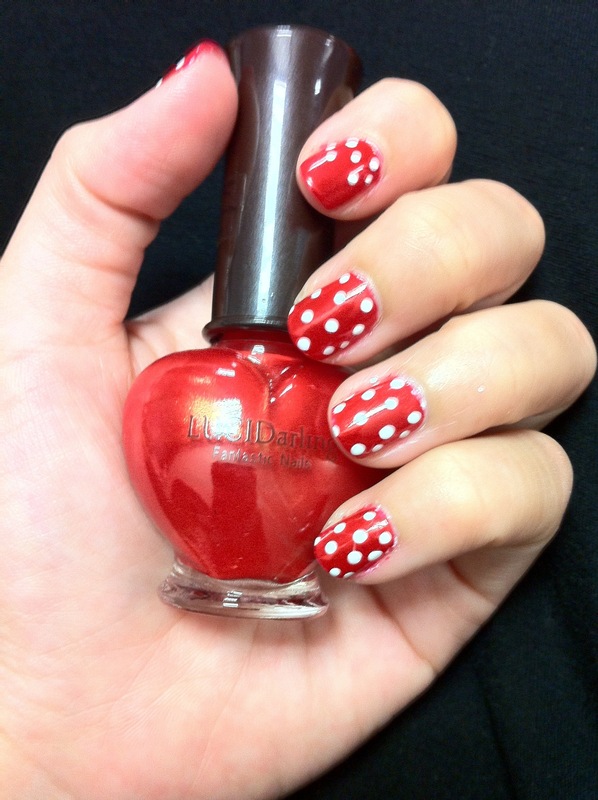 Last week was a really hectic week so I decided to do a special mani to brighten up my week! 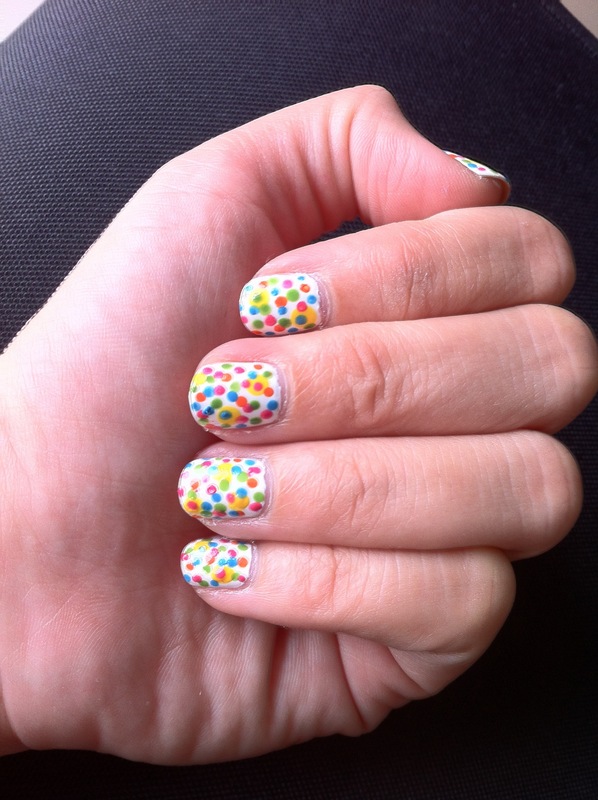 After lunch picking and choosing I decided to do a polka dotted mani. 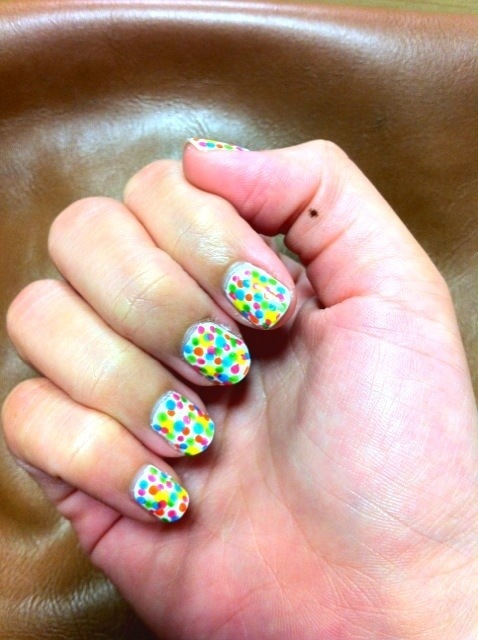 Not the regular kind but a multi colored dotted one! 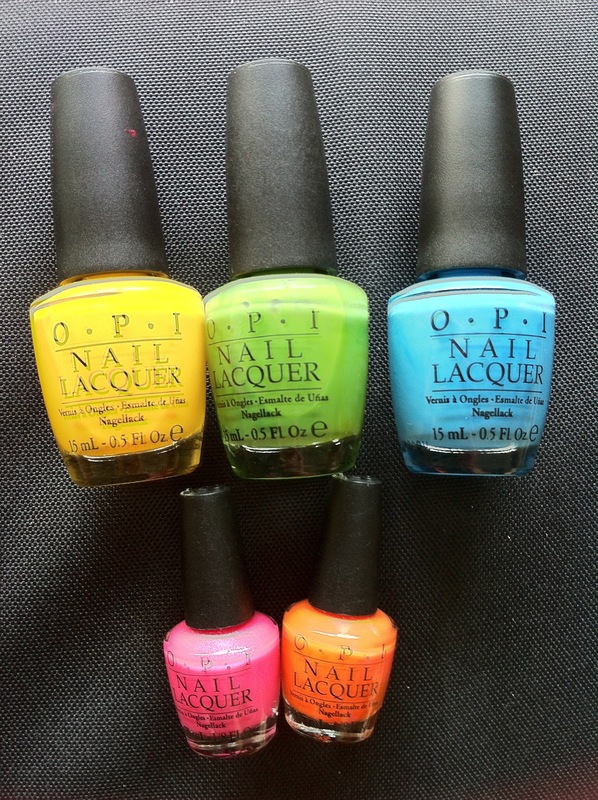 I used yellow, green, blue, pink and orange on a base of white ( OPI Alpine Snow). Look how pretty they are now!